Suresh Kotla is Director of Sustainable Manufacturing in India. Before joining ISC, Suresh headed the India division of Vision Pacific Group, offering services in manufacturing, design and engineering, project management, investments, and finance to clients in China, India, Australia, London, France, and North America. In addition to this experience, he has worked with nonprofits for nine years on community development initiatives. 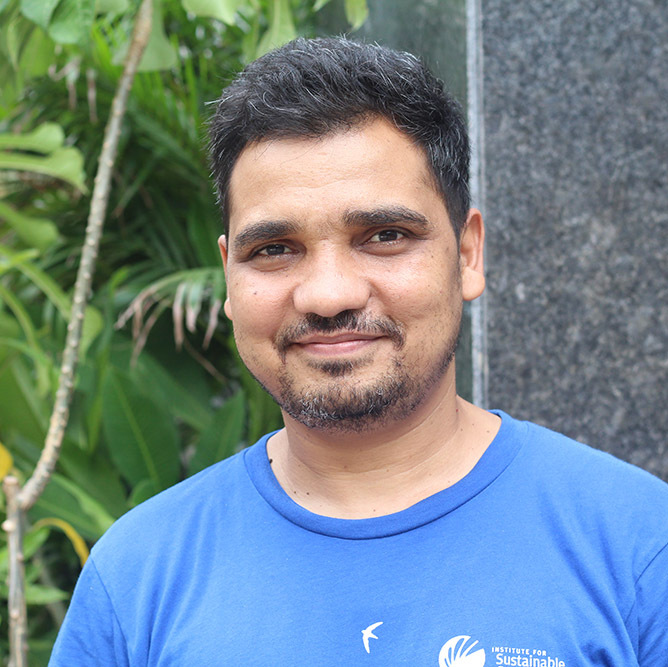 Suresh has completed his Master’s degree in Environmental Science from Bharathiar University, a Post Graduate Diploma in Urban Environmental Management and Law from National Law University, and a Bachelor’s degree in Science from Mumbai University, majoring in Physics & Electronic Instrumentation. He is an Indian Green Building Council Accredited Professional and a PMI certified Project Management Professional (PMP). He also enjoys event management and has organized large events, including a reception on the U.S. Consulate Lawns in Mumbai attended by 700 guests from India’s business community.